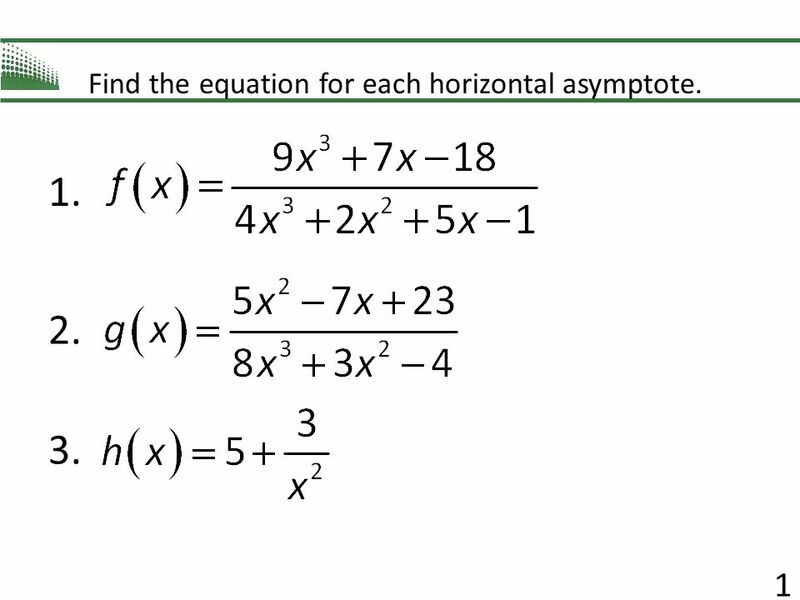 Horizontal asymptotes are completely different from vertical asymptotes. The two curves vary in a lot of ways as one can never touch vertical asymptotes, you can very well touch and cross horizontal asymptotes. Non-Vertical (Horizontal and Slant/Oblique Asymptotes) are all about recognizing if a function is TOP-HEAVY, BOTTOM-HEAVY, OR BALANCED based on the degrees of x.